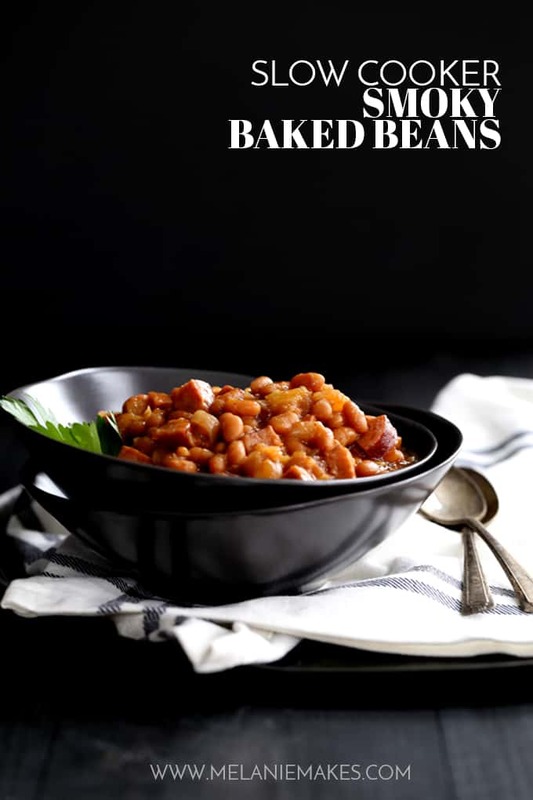 These eight ingredient Slow Cooker Smoky Baked Beans take just 10 minutes to prepare as everything is simply stirred together in the slow cooker and left to simmer into delicious perfection. I swear Mother Nature is paying us back for the mild November and December we had. On Saturday, we had something like 5″ of snow. In APRIL. I’m hoping the worst is finally behind us and we’re all anxiously awaiting the near 70 degree temps forecast for the upcoming weekend. Well, my dear husband might not be, as I told him that we should clean up and pack some of the garage for our upcoming move. What he’s really looking forward to is that warmer temps mean it’s grilling weather. He’s the grill master and I provide the sides, we’re the perfect team. My Easy Cheesy Hash Brown Potatoes, Cheesy Corn Casserole and Mexican Street Corn Deviled Eggs are usual suspects around our warm weather table. And finally – FINALLY! – I’ve not only perfected my baked bean recipe, but I’ve also made it so that it’s prepared in the slow cooker. You know what that means? Even less work for me, but the same delicious end result! If you’re looking for a great slow cooker, this one is my favorite and the one that I used for this recipe. It not only is a slow cooker, but it also browns and steams. It’s pretty much the slow cooker of my dreams. 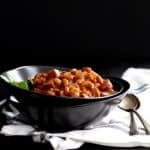 These eight ingredient Slow Cooker Smoky Baked Beans take just 10 minutes to prepare as everything is simply stirred together in the slow cooker and left to simmer into delicious perfection. There are three ingredients that make these beans stand out from the crowd. Number one? Kielbasa. Serious deliciousness, diced and studded throughout. Second? Crushed pineapple. 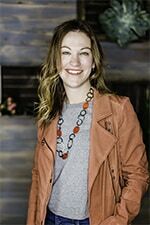 The perfect sweet element that is a true team player and doesn’t overwhelm. But my favorite component? The one that lends it’s signature smoky flavor? Whole grain mustard. Ground mustard seeds, garlic and spices make this a must-have-smoky-flavored condiment. I try to keep a jar in my fridge at all times as I’ve yet to meet a dish it doesn’t enhance. 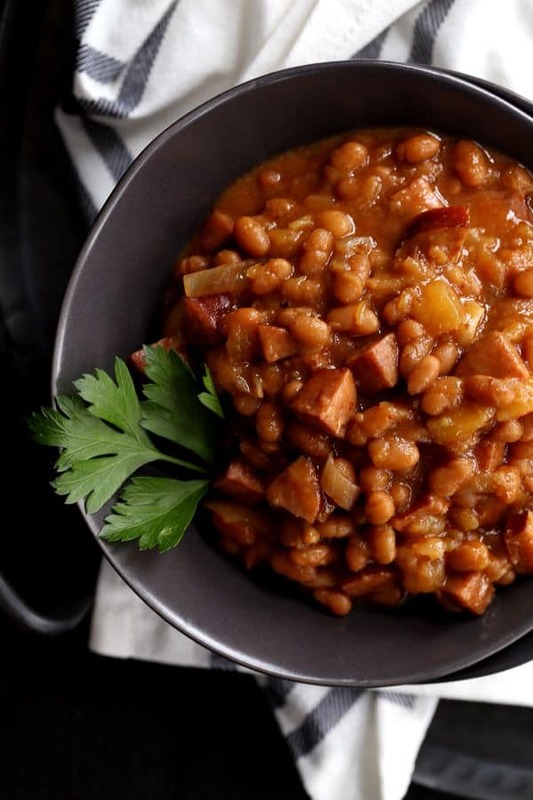 So here’s to all the warm weather cookouts in our future and to being the hit of the dinner table with these low fuss, high flavor Slow Cooker Smoky Baked Beans. And of course, to a clean garage because now I can pack and have my contribution to dinner cooking at the same time. It sure is great being able to multitask! Add all ingredients to six quart slow cooker and stir to combine. If you'd like to reduce the sauce further, remove lid and cook on HIGH for 30 minutes before serving. I like to drain the thinner liquid on the top of the beans off, however, if you like more sauce for your baked beans, do not drain them before adding them to the slow cooker. If you’re looking for a few more ways to serve baked beans, I’ve got friends for that! Check out these hearty Meat Lover’s Dr. Pepper Baked Beans, comfort food worthy Cheeseburger Bombs Baked Bean Skillet and Angela’s Cowboy Beans. Oh man my mouth is watering--but I have to ask, can you see or taste the pineapple in them? I love pineapple and my family loves pineapple but not sure they would be a fan of it in baked beans. I am going to try them anyway but just wondered if I could sneak it by them and then tell them afterwards if they liked them. I think they sound wonderful!!! Hey Melanie, I have to tell you I made the baked beans yesterday and they were a hit! So I opted to tell only my husband about the pineapple before and surprisingly enough he was okay with the idea but said to wait to tell our son and fiancée until after the meal. Since they both got up to get seconds and raved about the beans I told them. It is a keeper for sure!! I love the sausage and pineapple in this recipe. Baked beans are a must for summer gatherings! 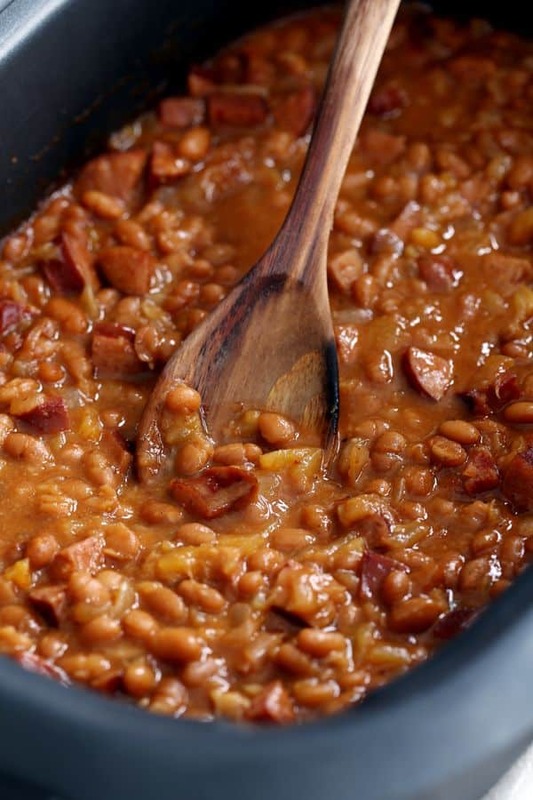 Thank you so much for sharing one of my family's favorite baked beans recipes! Happy to share, Brenda - thank you! The perfect addition to any potluck! This looks so amazing! And it is so tasty! My family is going to love you for this! The perfect side dish for all our summer parties. This is making me hungry! Looks so yummy!! I love a good slow cooker recipe....I have to try this! They looks so good! this looks outstanding, Mel! I came around to baked beans very late - once I started making them myself and got to add whatever fun goodies I wanted. Thanks so much, Em! I love that I can toss everything together and then get back to friends and family at the barbecue without a lot of hands on work! This recipe just took me into a dream of a summer BBQ and good times. And made me drool. There's lots of drool. 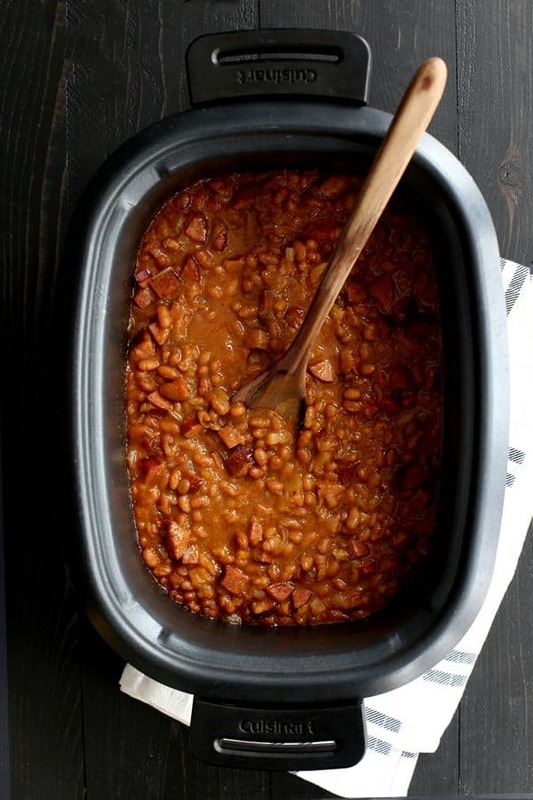 I love using my slow cooker and baked beans is one of my favorite dishes to make in it! Thanks for the new recipe to try! Absolutely, Sabrina - let me know if you give them a try! I have lots of favorite foods, but baked beans in pretty much any form are at the very top of that list. These look amazing and I love that pineapple. Never tried that before. So very curious. These will be a great side dish to any BBQ this weekend! I couldn't agree more, Krista! I've always been a sucker for some good baked beans (I grew up with them on the table all the time). These sound fantastic! This is going in my potluck file...these sound amazing. This was so hearty and delicious. It was a hit with my husband. We love baked beans and a little rice for a truly comforting meal. I added some spicy chorizo bits too. Very good. So glad you enjoyed them, Rachel!